90 years ago today. | Come Here To Me! « Audio recording of meeting on Republicanism in the 1960s now online. 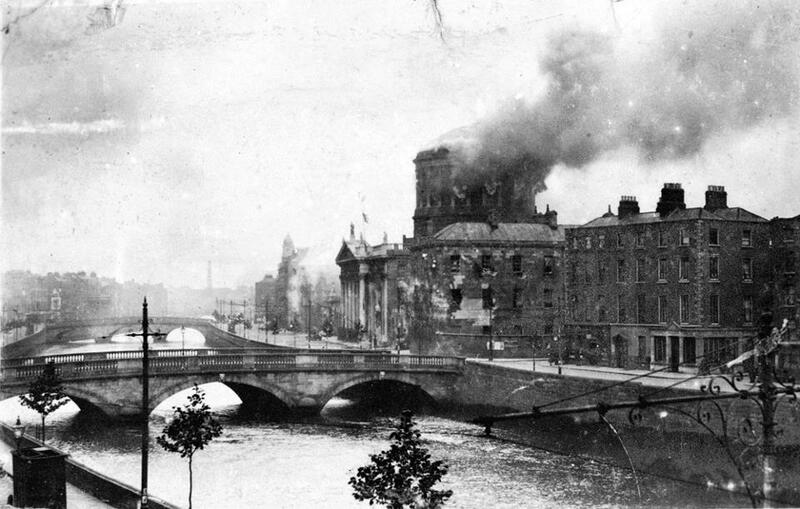 Four Courts On Fire From Essex Quay, June 1922, Photographer: Joe Rodgers, aged 17. Thanks to Joe Rodgers for leaving this image on our Facebook page, taken by his grandfather Joe. Joe was 17 years old at the time he captured this defining moment in Irish history, and lived on Essex Quay. One thing I noticed immediately was how little the building which is home to early house pub The Chancery has changed! 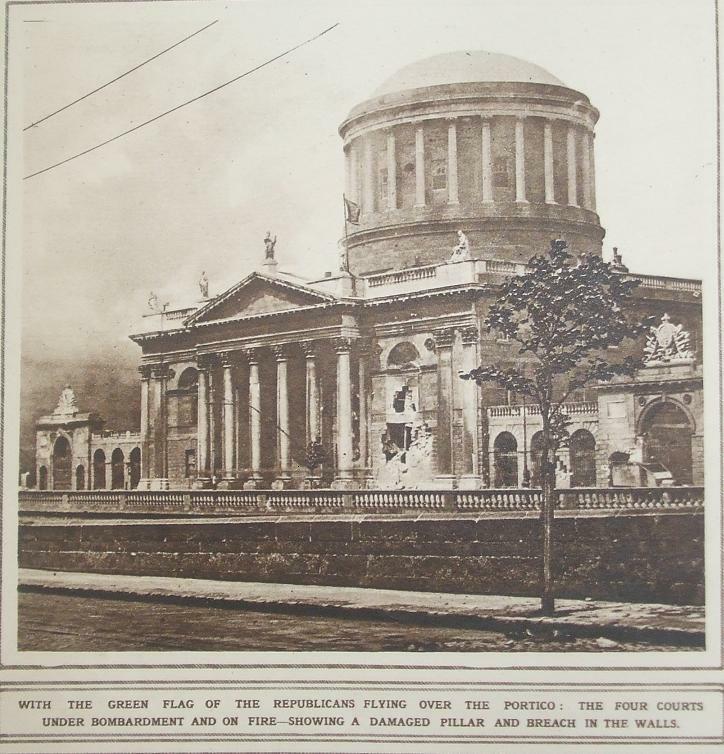 The Battle of Dublin raged for a week from 28 June to 5 July 1922, beginning with the bombardment of the Four Courts, the symbolic headquarters of the republicans. In addition to this excellent image, here is one printed in the London Illustrated News following the Battle of Dublin. I scanned it up recently with the intention of posting it here today. Notice the flag flying above the building. And hundreds of years of history went up in smoke because of a bunch of thugs who were only beginning a trail of destruction that’s still going on.